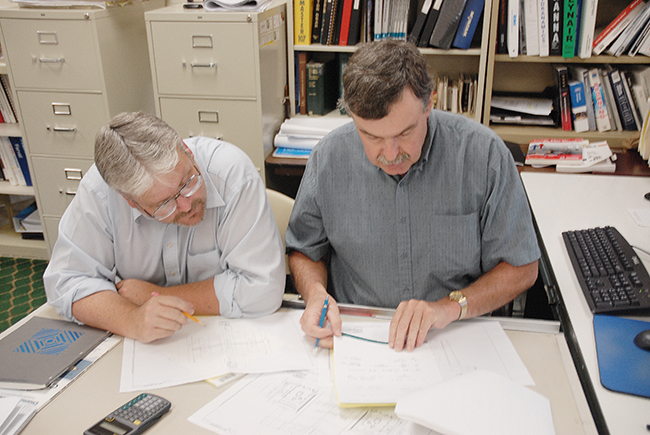 With a staff of over 150 engineers, SES has the ability to handle projects ranging from small specialty items, to major capital expansions. We provide customers with innovative solutions, supported by the company philosophy of long-term relationships based on value, and backed by an extensive knowledge base of the equipment design process. We offer mechanical, electrical, process and automation, as well as facilities engineering services, with a core strength-focus on intellectual talents. We pride ourselves on our design engineering team, who utilizes advanced technological tools in the equipment design process, including: AutoCAD, Inventor Professional, Autodesk Simulation Mechanical (Algor FEA for deformable solids and heat transfer). As part of our succession plan to attain highly trained engineers, we've entered into co-op partnerships with local colleges with strong mechanical, electrical and civil engineering programs. One of the things that separates SES from our competition is the uniqueness of our project managers, not only being degreed engineers, but also having full P&L responsibility for each of their projects. This philosophy makes the integrity and cost of the design highly important and ensures an engineer oversees all aspects of the project. As a continuation of the SES philosophy, the project manager, with 100% ownership, works closely with our customers and field service team (on-site) during installation and commissioning.